If you process many POs for many suppliers at the same time, SpendMap will create separate email messages for each supplier, and attach only their POs (be that one or many, if there is more than one PO for the supplier in your PO Work Area at the time of processing). And any internal documents, such as your internal copy of the PO or any of the optional “supplemental documents”, can be directed to your printer or a PDF file of your own. TIP: Save some trees and skip the internal copies as well. In many cases, when using a system like SpendMap, you can do away with printing internal copies of your POs (the planet will thank you!). Remember, every time you process a new PO, it is stored in SpendMap’s database for your reference. You can see the details of a PO using View PO Status and POs will show on many other screens and reports. And of course, if you’re using SpendMap’s Invoice Approval Module, your Accounts Payable staff will have access to full PO details on-screen when approving supplier invoices, so there is no need to print hard copies for them either. Please see “Backup and Restore Procedures” in the Getting Started Documentation that comes with the software. If you need any help, you can use our free Support Ticket System. 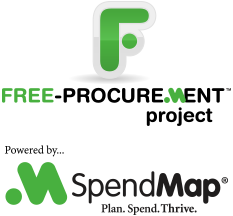 Just select the menu Help > Free Online Support, from within SpendMap.